How do I know if a particular criminal attorney is right for my case? 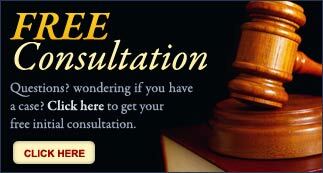 Phoenix criminal defense attorney Josh Blumenreich can help you obtain the best possible outcome in your criminal case. There are many local criminal law attorneys to choose from, but not all of them are up to the task of providing a well-crafted and vigorous defense in cases involving assault, theft, DUI, drugs and more. In a five-minute consultation, Mr. Blumenreich will speak with you about your criminal offense and determine if he can represent you. Our criminal law firm treats our clients with compassion and respect. We know that you have many choices when it comes to a defense lawyer, and we promise to give everything we have to your defense. When choosing a criminal attorney look at experience, reputation in the community and the chemistry between you and the attorney. We think you’ll find all three to your liking at The Blumenreich Law Firm. It is vitally important to obtain legal representation as soon as possible to ensure your rights are protected under the law. Josh Blumenreich will work aggressively and efficiently to provide comfortable counsel and a competent case. Josh Blumenreich offers a record of experience on both sides of the aisle and tremendous results as a defense lawyer. His goal is to provide individualized attention to each client and their case, and to passionately protect and enforce their rights. No matter what you’ve been charged with, you deserve just such a defense. The Blumenreich Law Firm is waiting for your call at 602-828-0568. Don’t wait another minute to secure the representation you deserve.